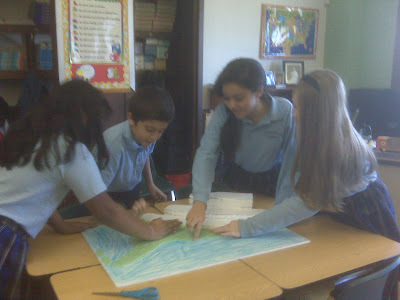 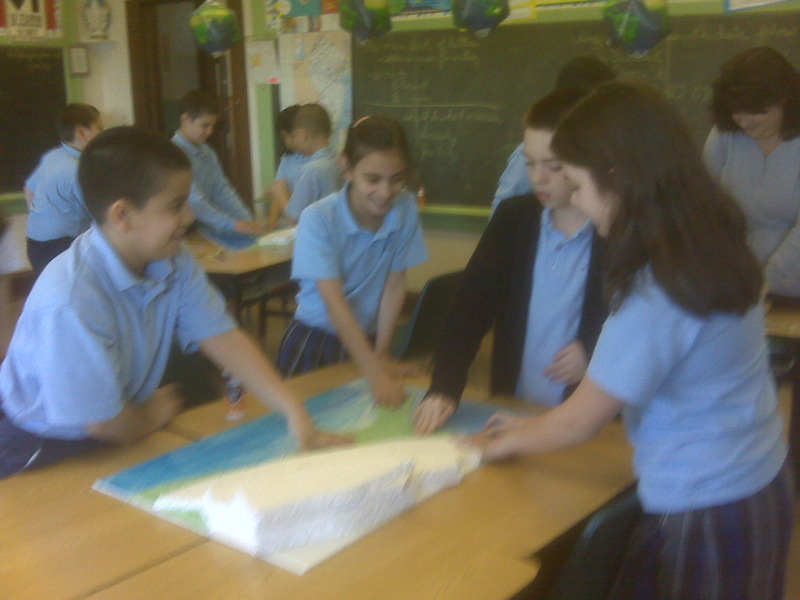 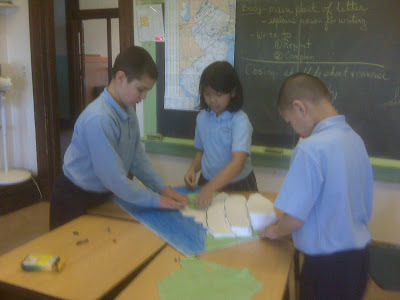 5th Grader's working hard on their project showing elevations of mountains. 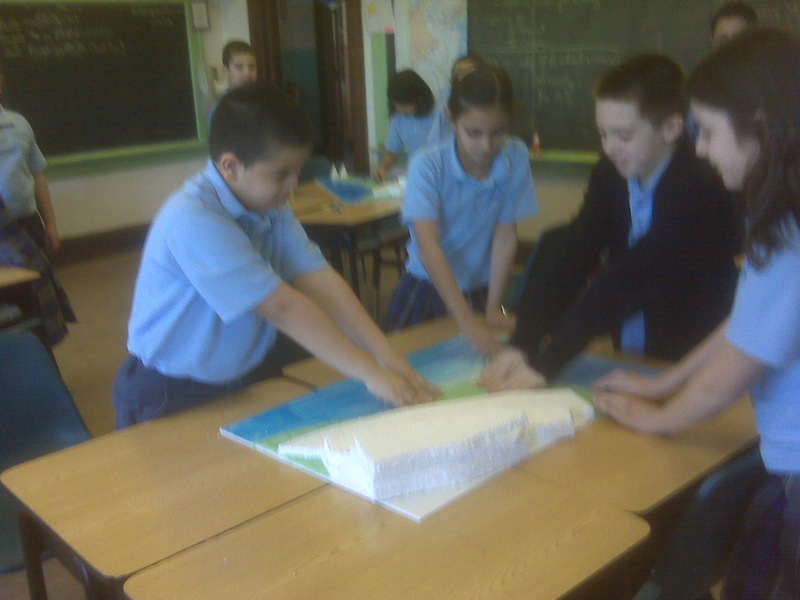 The mountains are made out of clay. 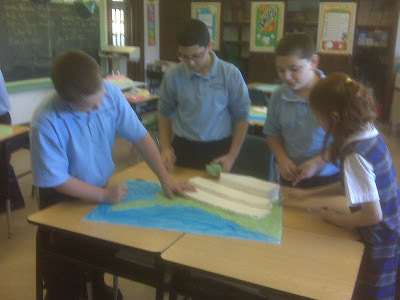 Mrs. Dubasak made the clay at home in her free time to cut down on the cost of the project. The students are demonstrating an understanding of the Inner and Outer Coastal Plains and the Piedmont regions along the East coast of the US.